Jindaiji is a historic Buddhist temple in the suburb of Tokyo (Musashino area) and surrounded by rich forests and spring water. The difference of four seasons is beautiful; cherry blossoms in Spring, firefly watching in Summer, Autumn leaves, and the traditional Japanese noodles festival (soba festival) in Winter. Required time for visiting Jindaiji is about 30 to 40 minutes. 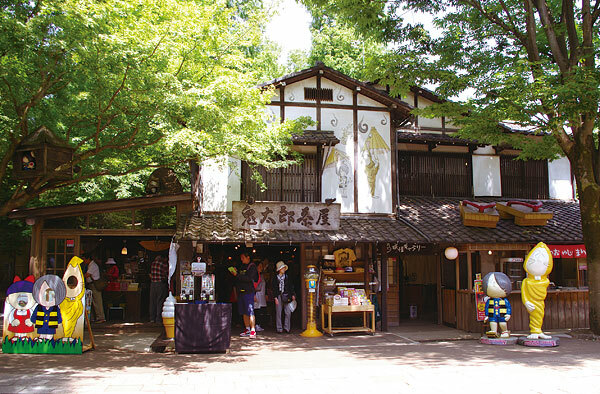 In addition to appreciating the historic architectures and the Buddhist statues in the temple, you can try many different activities, such as making Hand-made pottery (Raku-yaki), praying with holy fire (Gomadaki) and tasting the traditional Japanese noodles (Soba) that is made with the spring water in the area. 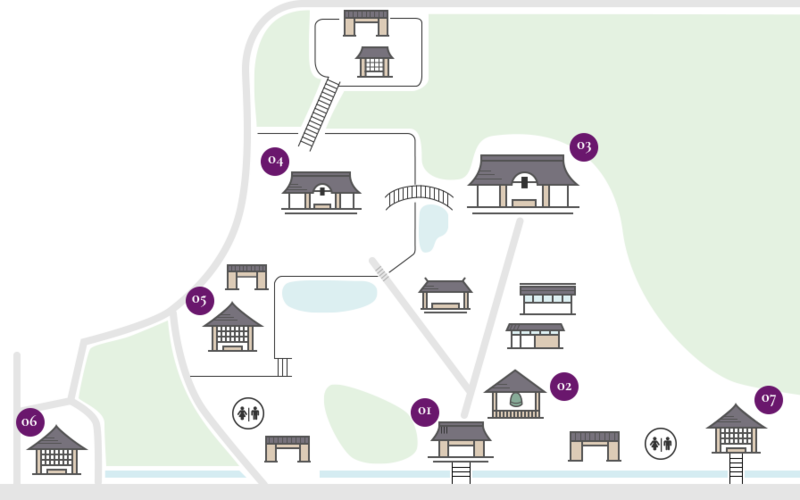 Also visiting the “Jindai Botanical Garden” and the Hot Springs will refresh your feeling and body. Both are located in nearby. In Japan, the main gate of the Buddhist temple is called “Sanmon” that means “Mountain gate”, because most Japanese temples were originally built in the mountain. The main gate that is surrounded by old trees seemed to symbolize the style of historical temple with dignity. More than 300 years ago, in 1695, the main gate of Jindaiji was built on the ground that was higher level from the street that approaches to the temple.Only the columns and the beams were colored in red at Jindaiji. It is the oldest architecture in existence in the precincts, because the main gate was not burned by the conflagration in 1865. The main gate is one of the best designs in the architectures of the Edo period that still remain in Tokyo. Although most of the thatched roofs in Jindaiji from the Edo period were gone, the thatched roofs of main gate and the monks’ kitchen survived today. The original bell tower was built in 1829 but lost in the conflagration in the Edo period. In 1870, the new bell tower was built at the right side of the main gate. The roof of the original bell tower was a thatched roof but it was changed to the copper roof in 1954. For the better sound effect, the three pots and the iron cover with holes were buried in the foundation of the bell tower. For this reason, the sound of the bell is pleasant and the echo creates the deep vibrations. The original bell was made in 1376 in the late Kamakura period. It is the third oldest bell in Tokyo. The bell is actually the oldest as it has been continuing to strike since it made. It is a national important cultural property now. The original bell was retired in September 2000 and moved to Shaka Hall. The bell could escape the commandeered during the World War II. It was because Showa Emperor when he visited Jindaiji, he said “Cherish the old ones” in 1922, even though it was a time of suffering from the shortages. It is a fact that about 75,000 bells in Japan were requisitioned at that time and this episode suggests that Jindaiji’s bell was extremely valuable. The bell now was remade in 2001. The bell tells us the time at 5:00, 11:30 and 18:00 in summer-time and 6:00, 11:30 and 17:00 in winter-time. The visitors can strike the bell on only New Year’s Eve (December 31). The main hall was originally built in 733 and reconstructed in 1919 after the destruction by the configurations of 1646 and 1865 in the Edo period. The origin of the name of this temple “Jindaiji” was from the “God of water”(“Jinjadaio”). He protected a Chinese monk who sought for “Holy scripture of Buddhism” in India, during the monk’s journey. This journey was written in the classic Chinese literature, “Journey to the West”in 16th century. Jindaiji is a historic temple in Tokyo that exists from ancient time besides “Sensoji” Temple in Asakusa. The original architecture of the main hall was the thatched roof structure (1). After the reconstruction the mail hall, the Sangawara(clay) tiles (2) were used. Now it is a style of metal (copper) plate roofing. It is the craft of building a roof with dry plants layering the plants so as to shed water away from the inner roof. It is a very old roofing method. It is a traditional Japanese style of tiled roof and the tiles are made out of clays. It has developed from the tiled arranging a combination of alternating flat tiles and concave roof tile. The center of the main hall is designed Kohai (a roof built over the steps leading up to a temple building) (3) in the Kara style (4). It is a porch where visitors face toward the main hall and worship in a Japanese Shinto shrine. It is a type of gable with a style peculiar in Japan. The characteristic shape is the undulating curve at the top. This gable is common in traditional architecture, including Japanese castles, Buddhist temples, and Shinto shrines. The statues of Amida-sanzon(5)(the set of three Buddhist statues) that is the principal image of this temple was enshrined in the main hall. One of the styles in Buddhism for enshrines the Buddhist statues. The three statues, “Amidanyorai” and his two attendants, “Kanseon-bosatsu” (left) and “Seishi-bosatsu”(right) is called “Amida-sanzon”. “Kanseon-bosatsu” and “Seishi-bosatsu” are the incarnation of “Amidanyorai” and that represents the “mercy” and the “wisdom”. The statue of “Ganzandaishi” who was 18th Tendaizashu (the highest of the Tendai sect) was enshrined at the Ganzandaishi Hall in 991. “Ganzandaishi” was also known as the originator of restoration of Tendai Sect, “Hiei Enryakuji” temple in Shiga district. Because Ganzandaishi is said to be the incarnation of “Nyoirinkannon”, he has attracted a unique faith such as “good luck” since the middle ages. It is said that the founder of “Omikuji (Written fortune)” of temples and shrines in Japan is “Ganzandaishi”. The principal image of the Ganzandaishi Hall is the statue “Ganzandaishi”. The statue is about 2m heights in the sitting position and its large size cannot be found in other temple. About 13 million people have visited in the most recent event in 2009 and the next one will take place in 2034. The Shaka Hall was newly built in 1976 in order to enshrine the Buddhist statue of “Hakuho Shakanyorai Izo (Hakuhobutsu)” that is a National Important Cultural Property in Japan. The raised-floor-style is for preventing the humidity in Japan. The statue of “Hakuho Shakanyorai Izo” is a Buddhist image that was created in the Hakuho period (673 – 686): the time classification of Japanese art history, such as in the late Asuka era (592 – 710). It was the principal image of the Jindaiji temple when it was established. The statue of “Hakuho Shakanyorai Izo (Hakuhobutsu)” is well known as the oldest Buddhist statue in the east side of Japan. Also, it is a biggest as a gilt bronze statue of the Buddha in Japan: the sitting height is 60.6cm and the height is 83.5cm. The baby face and the line connected to the nose from the eyebrow represents the features of the Hakuho period. Unfortunately, the gold leaf on the statue that was used to be was destroyed by fire. We can see the similar expression in the statues of “Koyakushi-zo” at Shinyakushiji temple and the statue of “Yumetagai Kannnon-zo” at Horyuji temple in Nara district. These three Buddhist statues represent this era and are called “Three Hakuho Buddhist statues”. In 2017, the “Hakuho Shakanyorai Izo (Hakuhobutsu)” was promoted to be as a Japanese national treasure. 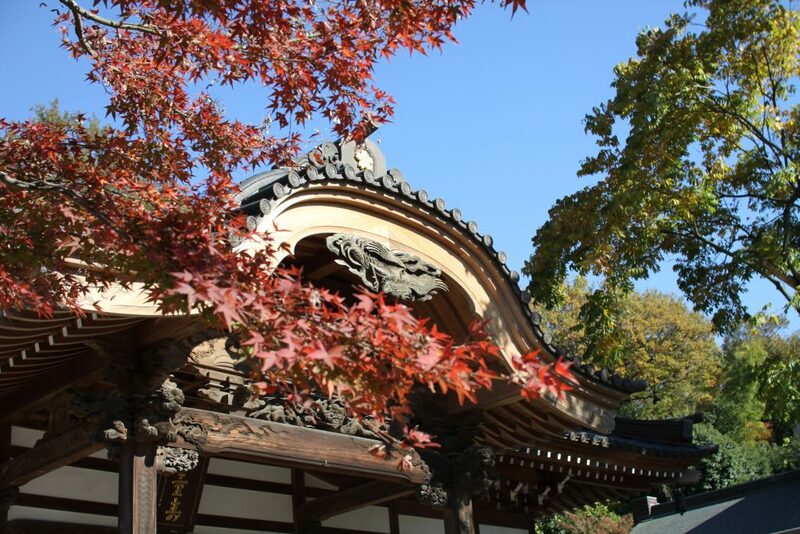 The Jinja hall is a shrine and is derived from “Jindaiji” the name of the temple and worships the statue of “Jinjadaio”. It is a “Syncretization of Shinto with Buddhism” which was Japan’s religion up until the Meiji period. “Syncretization of Shinto with Buddhism”; Buddhism was introduced in the late 6th century. It became the Japanese state religion according to national policies. 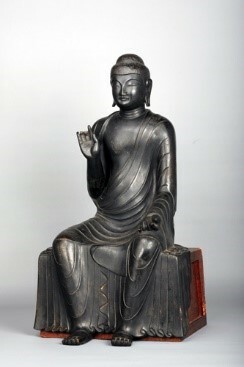 However, Buddha was transformed into a Japanese deity, a new different form of god, and coexisted with the Shinto gods. The “Jinjadaio” is in one of the Buddhist guardian deity, and his power alienates bad luck or the plague. According to the classic Chinese literature, “Journey to the West” in 16th century, he is called “Sa Gojo”, known as a “water buffalo” and protected the Chinese monk who sought for “Holy scripture of Buddhism” in a desert. Jinja Hall was rebuilt in 1968 and the original year is unknown. The statue of Jinjadaio： The statue of “Jinjadaio” is a masterpiece of the Kamakura period (1185 – 1333), but it has not been open to the public because it is a secret saint in Buddhism. It is 57cm heights with a chest ornament of the skull and wears the traditional Japanese men’s pants made out of the elephant skin. His facial expression is full of rage. Behind the temple, there is a water source involved in the legend of Jindaiji. Jinjadaio that was enshrined at Jindaiji is a ”God of water” and represents the deep engagement of Jindaiji and spring water. Because there are many springs in the mountains behind the temple, the monks used to meditate by sitting under the waterfall. This temple is placed in a very privileged area with rich spring water, and has been designated as a “Tokyo famous water 57 election”. 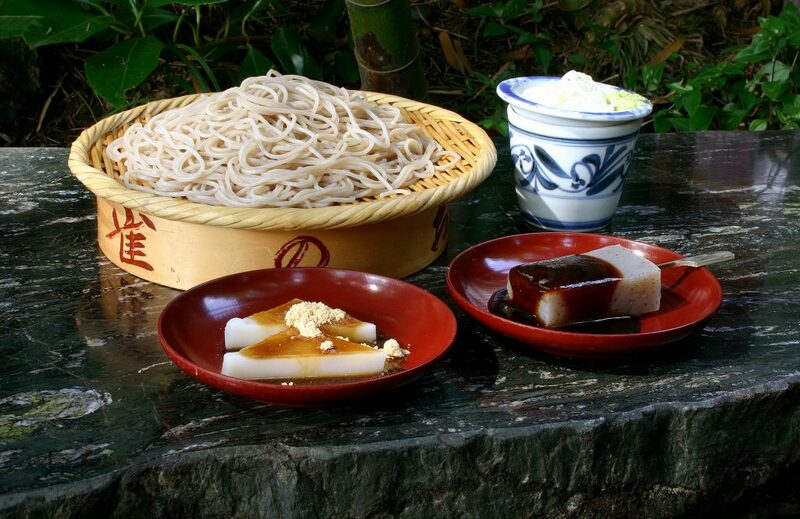 The high quality water and buckwheat flour determines the good taste of noodles in Japan. 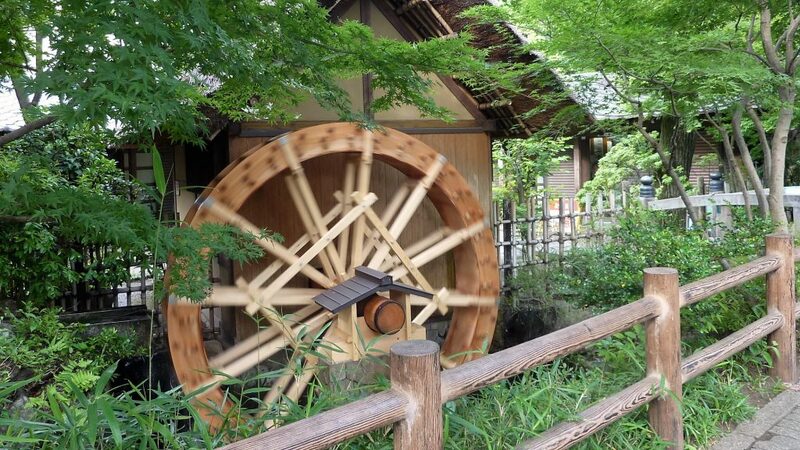 It has a long history of making Soba flour by using a water wheel. Since the area around Jindaiji was a region that is suitable for making buckwheat, cultivation of buckwheat was the prosperous. Because the peasants had dedicated the buckwheat to the temple, it is said the noodle that has made in the temple welcomed the guests of the temple. It is also said that the top of the head temple of Jindaiji, loved the noodle and made it popular. According to the other theory, Tokugawa General 3rd eat the noodle and praised the buckwheat at the time of falconry. Shigeru Mizuki (1922～2015) was a Japanese manga author and historian, best known for his series “Gegege-no-Kitaro”. As he had lived in Chofu-city Tokyo for a long time until his death, Chofu-city became his second hometown. In the story, the main character “Kitaro” fights against bad specters (monsters). He is a good specter who has a strong sense of justice. “Kitaro” wanted to create a peaceful world where monsters and humans can coexist. This cartoon (TV, comic, film) was very popular for a long time in Japan. The theme of this story is “coexistence with nature”, human beings and monsters, as well as birds, animals and all of the creatures that live on the earth. “Kitaro cafe” Reproduce the world of “Kitaro”. There is a sweets menu using the image of the cartoon story and Kitaro and the monster products are sold in the cafe. Also, the atmosphere of this cafe is reminiscent of the culture of the Showa era; the era of Japanese history corresponding to the reign of the Shōwa Emperor, Hirohito, 1926~1989. 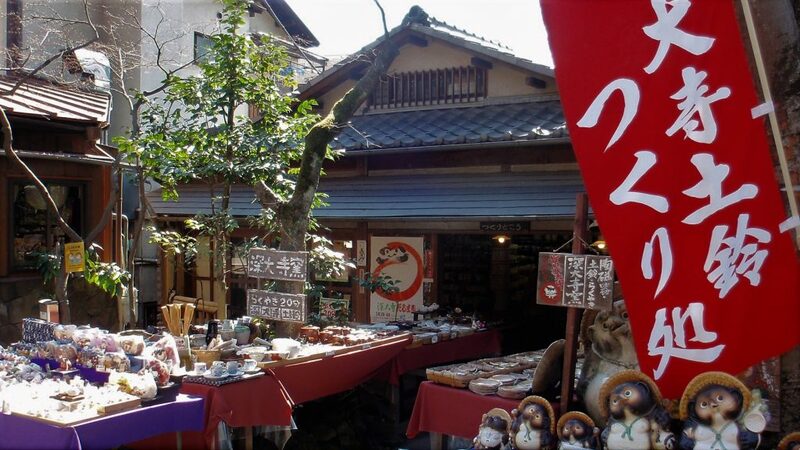 In front of the temple, there is a pottery shop “The kiln of Musashino-Jindaiji” that sells ceramic bells and potteries. The ceramic bells that are sold in the temple are made in this kiln. You can experience making a pottery; paint on unglazed dishes or cups and bake them for 20 minutes. ※The hand-made pottery is a non-microwavable. 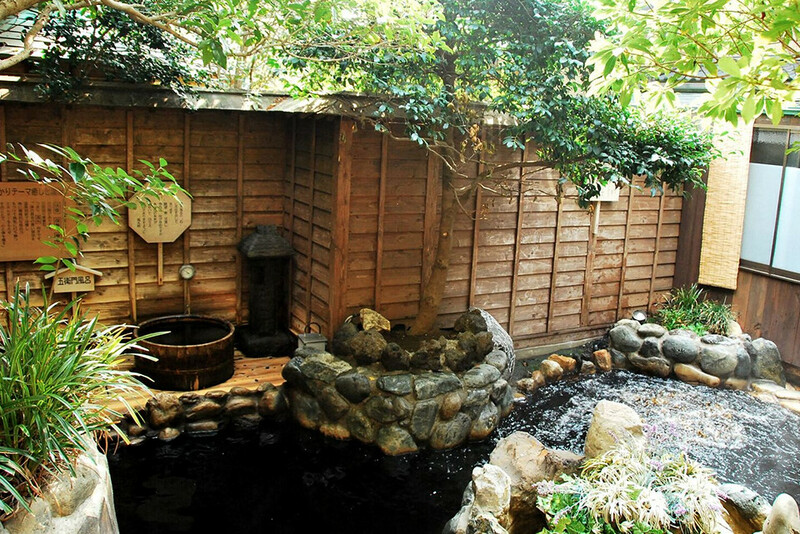 The area around Jindaiji is famous for spring water. The buckwheat cultivation is also a successful. As the milled rice and buckwheat were produced in this area, the local people built the watermill in the Meiji period. The current water mill was built in 1992. The scenery of Jindaiji and the mountain harmonize with the water wheel well. At the watermill museum, you can try milling the buckwheat by reservation. The traditional Japanese noodles have been a specialty since the Edo era. Many visitors enjoy eating the noodles. 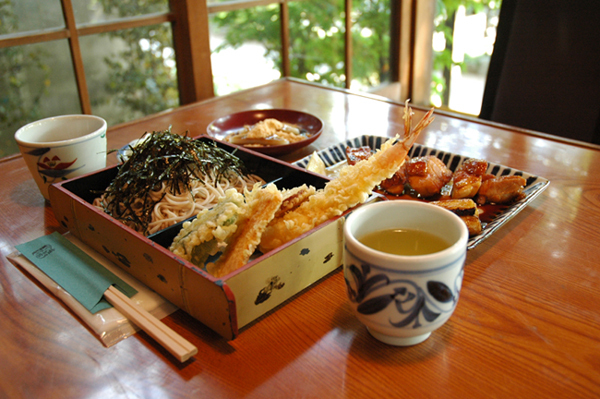 There are about 30 traditional Japanese noodle restaurants nearby Jindaiji. Also the sweets are available in addition to the noodles. The jet-black hot spring from the underground 1500m contains the ancient kelp and ferns of organic matter (humic acid). It is effective in neuralgia, muscle pain, joint pain, frozen shoulder, stiffness, sprains, digestive disease, poor circulation, fatigue, burns, constipation, women’s diseases. Also available to use a variety of bath; Goemon-buro*, carbonated water bath, electric bath, indoor baths, outdoor bath, sauna. * Goemon-buro (Goemon bath): Copying the historical event of boiling a criminal in a cauldron, the bathtub is heated on a direct fire.